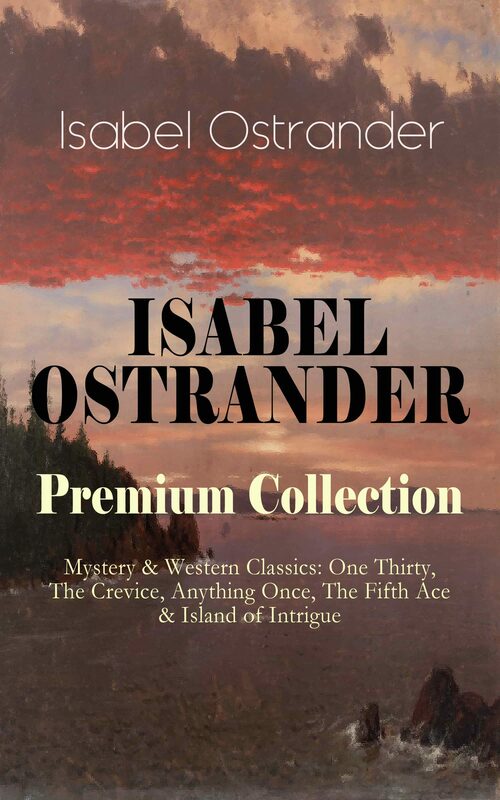 This carefully crafted ebook: "ISABEL OSTRANDER Premium Collection – Mystery & Western Classics: One Thirty, The Crevice, Anything Once, The Fifth Ace & Island of Intrigue” is formatted for your eReader with a functional and detailed table of contents. Isabel Egenton Ostrander (1883–1924) was a British mystery writer of the early twentieth century who used, besides her own name, the pseudonyms Robert Orr Chipperfield, David Fox, and Douglas Grant. In 1920s she was notable enough to be parodied by Agatha Christie in Partners in Crime, a Tommy and Tuppence mystery that parodies many of Christie's idols. Content: One Thirty The Crevice Island of Intrigue Anything Once The Fifth Ace. Otros ebooks de Isabel Ostrander.